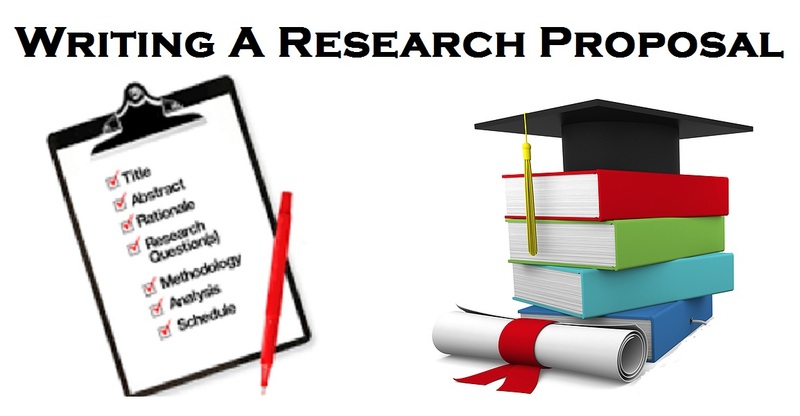 Before you start writing a PhD thesis in some universities, it is necessary to prepare a proposal for research (Research Proposal), which will become the basis of a future dissertation. 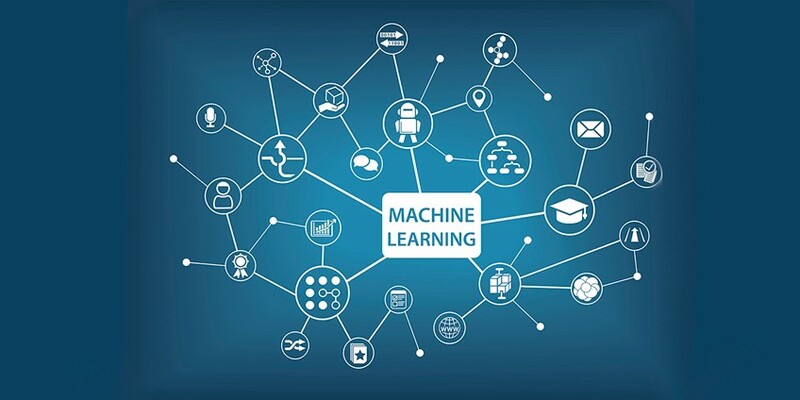 The research proposal is normally presented at least 4 months before the thesis is presented and is the second mandatory stage of work on it after coordination and approval of the thesis topic. research part of the dissertation. The theoretical and methodological part describe the relevance of the topic of the finance PhD research, establishes the problem area, the object and subject of research, as well as the purpose and objectives of the work associated with the hypothesis (hypotheses) of the study. The first part also includes an analysis of the main sources of literature – a review of the key sources in this area, as well as a proposal for working with primary sources, including periodicals, research data, etc. Based on the plan and concept of the dissertation, a brief description of the future work, its structure is given. In the research part, on the basis of the hypothesis put forward (hypotheses) of the research, the methodology of the future research, the design, the expected results, the system of the methods used are described, the validity criteria of the research are established. The research proposal is approved by the student’s supervisor, agreed with the head of the master’s program and defended before the supervisor. A research proposal is a document that describes in detail what is planned to write for research work on a specific PhD project. To come up with material that will serve as the basis for a successful proposal, you need to think over and prepare a topic. Once you have a topic, review the literature to identify gaps. This will help you identify and highlight the problem area. It will also provide an opportunity to add body and demonstrate knowledge. The introduction is the next stage where you can formulate a statement of the goal, which describes in detail why the topic is of interest and importance. You can do this by highlighting the gap you have noted and the relevance of the solution to the main problem. This will give you a guide on how you should argue, suggesting a field of study. The research question should be properly described with clearly defined goals and objectives for the results. A preliminary bibliography can also be constructed by writing links, pages, authors. Titles and publication information. Specify the methods that will be used to collect your data; for example, if you conduct informal interviews or hand out questionnaires. Depending on the topic, the focus group can also be used to collect accurate information. Review your audience and understand that they need a comprehensive offer to follow your proposal, accept its ingenuity and welcome your choice of learning. If you offer a narrow topic or an insufficiently defined area of study, you can instill confidence in the reader by compiling a list of resources that you will consult to obtain conclusive evidence and results. Such as: documentaries, publications, magazines, newspaper records and even biographies that will support your research. It is important to demonstrate that you can complete the work on time or at the time set by the institution. This will be demonstrated when discussing data collection and analysis methods. Be sure to include the ethical permissions required for your research, if necessary. Sometimes approval is required depending on your training method. For the safety of the participants involved, it is necessary to ensure that the investigation is conducted with respect. It is also useful to mention a methodology that differs from the method when writing a good research proposal for PhD application. Methodology refers to a theory that justifies the method of research that you have chosen to comply with. Given these few simple instructions, you can write a good research proposal. Watches are objects that are related t fashion and are responsible to add the dash of elegance to your overall look. No matter how dramatically you choose to dress for an event hoe perfect your combination of attire may be, when it comes to the complete look, a watch can make substantial difference. Hence, it is always must have for fashion pro people to have a perfect collection of watches in their closet. When it comes to luxury watches, one finds no dearth of choices in the market. 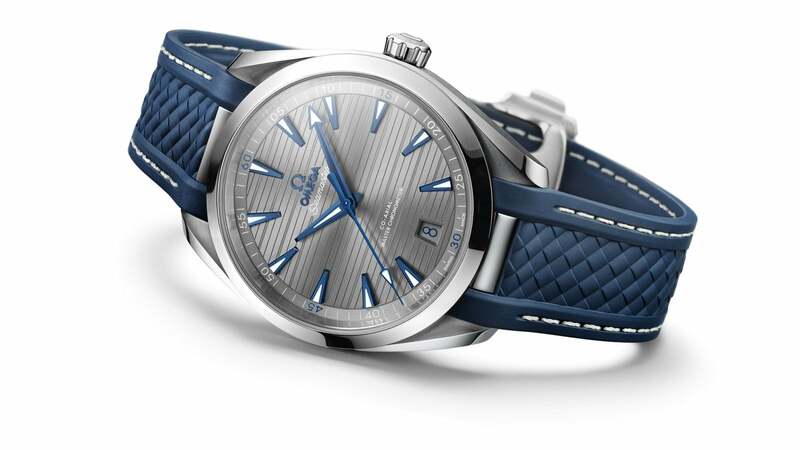 However, if you have a taste for a watch that will render your identity a completely new dimension, opting for an omega seamaster aqua terra would be a smart option. A watch that dominated the European lands for long and bow ruling the world with its sophisticated appearance would be a valuable addition to your fashion wardrobe. Be it a party, an office meeting or a candlelight dinner, your personality will find the right vibes in every occasion as long as you augment your wrist with a fine timepiece from the house of omega seamaster aqua terra. Immediately after WWII, when the market was finding ways to survive and the world economy was going through depressions, the watch industry faced a crisis as well. IWC Portuguese, also known as IWC Portugieser, with its inception around the late 19th century, had to suffer the same. However, their efforts to come up with something new that will suffice the requirement of the new age made them a permanent and renowned name in the market over time, the revolutionary designs and the adaptation to apt and perfect technologies marked success for IWC Portuguese. Though the market always had and will have its own ways to move, this brand has made substantial impact on the watch lovers with its carried range of collection and unconventional designs. Specialized in making military watches, sports watches and aviation watches, IWC Portuguese has always been innovative in its approach. The Swiss Luxury brand was incepted by an America Engineer and has always remained as a top preference amongst all the watch lovers worldwide. There are multiple varieties available to meet the varying requirements of the customers and the designers and watchmakers at IWC Portuguese have always kept in mind the easy to use technologies in mind while crafting these timeless timepieces. A perfect pick for all, these watches come with stunning styles, exceptional elegance, superior mechanism and the brand trust of IWC Portuguese. The Arabic numerals, the oversized subdual, the pared-black dial and a thin bezel are some of the characteristic features that defined the class of an IWC Portuguese. However, with the modernization of the brand, it has integrated other forms of numerals, colors of dial and shape of the bezel to make the watches look urban. The slim hands, the railway track design chapter ring and the Deco-style Arabic numerals are the latest additions to this watch that make it a must for all who has fine taste of aesthetics. If you have water damage in your home and want to get it under control as soon as possible, you might be wondering if you should handle the water and mold damage alone or contact a professional. You could be tempted to do it yourself to save money on repair fees. Keep in mind, though, that not addressing the water damage the right way gives it time to progress and get even worse than it already was. In the end, you will pay a lot more if you try containing it yourself and fail. If you don’t want to face that situation, learn when to contact a water restoration expert, and you will be glad you did. You might see a little water damage from a leak or burst pipe and believe you can take care of it on your own. A lot of people take that path and think they are making progress and that they have removed the water. When you try to dry all the water in your home, you can only get water on the surface of your carpet or drywall. Any water that remains under the surface can cause your boards to rot or allow mold to grow, issues you don’t want to face. The shingles on your roof do an excellent job at preventing water from getting into your home and causing harm. The shingles are positioned in a way that causes rainwater to run off your roof and into your gutters, and it goes into the ground from there. Wind and hail damage can make cracks in your shingles that let water pass through to your boards and home. Also, shingles can crack with time, and those who live in areas with extreme temperatures are even more at risk. If you have water damage from a leak in your roof, you want to get an expert on the job. If you check under your sink and discover your faucet pipes have been leaking, take action right away. In addition to causing water damage, a leaky pipe can also run up your water bill more than you think. Some people ignore a leaky pipe because they don’t want to invest the time or money to fix it, a path down which you don’t want to travel. The water from a leaky pipe can cause the boards under your sink to rot. It can also cause mold growth and invite a variety of pests with which you don’t want to deal. A team of water removal experts will protect you from that issue and give you peace of mind. A leaky pipe is one thing, but a burst pipe is even worse. If one of the pipes in your home burst, you could have a flooded basement or crawl space on your hands before you know what happened. Getting the water out of your home and fixing the pipe is only half the battle. It’s important you address any water damage right away so that you can contain it in the early stages. Contacting a mold removal team is also a wise step in the right direction when you face this issue because a burst pipe creates an attractive environment for mold. Most people think a flood would never happen to them, but a flood can strike at any time. A few hours of heavy rain is all it takes to trigger a flood that causes countless damage to homes and property. If you want to reduce the damage and protect your property, act the second you have the opportunity because doing so saves you time and money over the long run. Rather than trying to tackle the threat on your own, turn to a trusted team of water removal professionals. Now that you know when contacting an expert is wise, explore the ways experts address and solve the problem. This gives you an idea of how an expert will help protect your property from further damage, and you will be thrilled by the outcome. Professionals have tools and training to do the job right the first time and provide outstanding results to their clients. Water removal is the first step in the restoration process and a vital aspect of damage control. Since water in your home can spread to other areas over time, removing water is a powerful step along the correct path. Your experts will begin by removing all furniture, appliances and electronics from the impacted area. They will then use equipment to dry the area and inspect it for signs of damage so that you can have peace of mind. If water comes in contact with your drywall, they remove and replace the impacted sections. As far as mold removal is concerned, your experts will begin by sealing off the area to prevent mold spores from spreading to other parts of your home. Vacuums, air scrubbers and HEPA filters are among the tools used by mold removal professionals when they come into your home to solve your issue. While most people miss spots when trying to remove mold without help, a team of professionals uses a systematic process to contain the mold and let you breathe easy. If you need water or mold removal services and don’t know where you should turn for help and caring support, Aloha Restoration has your back. They are a team of talented professionals who care about the communities they serve. The team will remove your water and have your home dry within 48 hours of calling them. Working with Aloha Restoration puts your worries to rest because they have a proven record of success and dependability. When you enlist them to dry your home, they pay attention to each detail and have your back from start to finish. If you are ready to begin and get your home dry in no time, pick up your phone and give them a quick call. No matter what size of business you are, choosing which merchant service provider would best suit your company can require some research and consideration. With so many options, it can seem overwhelming to just pick one, and many businesses often work with several providers because it opens up choices for their customers. However, with the right information, you can make a choice that will affect your company for the better. Here are some things to consider when you are choosing the right merchant services for you. What kind of pricing do they use? 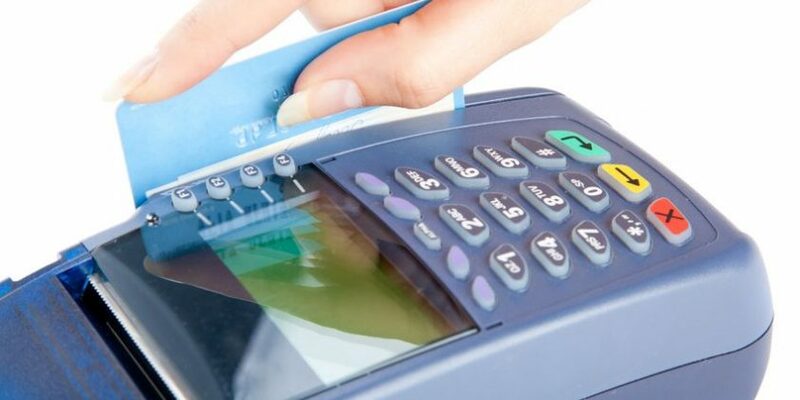 It’s most likely that the type of payment method you choose will include the use of credit cards. When it comes to this type of payment, simple tends to be the best. A quick setup can get you started right away and provide you with the assets you need in order to conduct business efficiently while offering support to clients. This means you will have to consider the pricing your chosen merchant service provider has and whether it works within your budget. This can be especially important for small business, who might have to choose between one or two options instead of several. The most common forms of pricing nowadays tend to be flat pricing or Interchange-Plus. Much of which payment facilitator you use will depend on how much growth you see for your company over the next few years. A flat rate can be great for small companies that are unlikely to see additional locations open up, but for a company that is looking to expand, Interchange-Plus might be the way to go. Are customers’ cards on file? Most small businesses rely on loyal customers that return because of the quality of the product or service. Having clients’ cards on file might not seem like the most exciting aspect of choosing the right merchant services option, but it can make a big difference if you have a number of returning customers. It also makes it much simpler for you since you don’t have to re-enter important information when you know that it is safely stored within an app. These merchant services providers also often offer additional services such as integrations with your software. This can make it easier to know which payments have been made, which are outstanding, and what purchases your customers have completed. It also makes it simpler for them to buy products or services since their info is already on file. If you have an ecommerce store, this can be especially helpful for client retention. Having cards on file can also give you a leg up over the competition since you will have a better idea of which items in your store are selling well. You can see where you need to make changes or where you might need to incorporate advertising, as well. Choosing the right merchant services can help your business to thrive, while also offering you the tools to continue growing as a company. With this in mind, you can choose a provider that offers you the support and tools you need in order to be successful as a small company. Owning a home is everyone’s dream. Owning a house however means you have the sole responsibility to ensure it is in the best condition possible. This entails taking care of everything from the simple necessary repairs to handling larger issues. It is only in doing this that you can protect your home from depreciating and making it as comfortable and appealing as possible. Consider seeking the help of real estate professionals or even inspectors to find ways in which you can improve the value of your home. Many people are short of ideas when it comes to increasing the value of their homes. 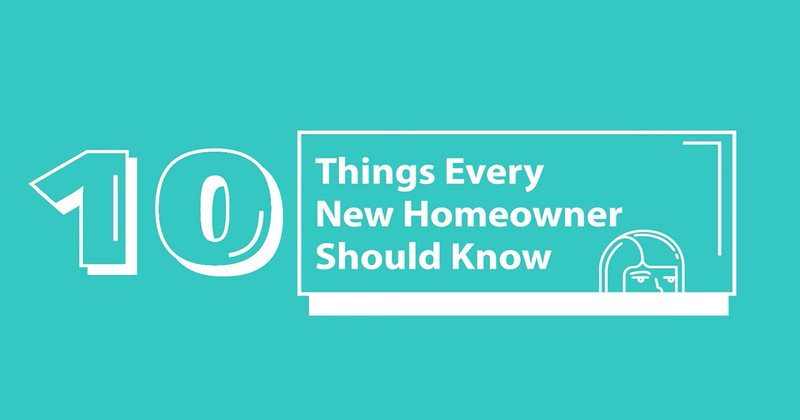 Some are torn between updating their kitchen, the bathroom, or even investing in a new roof. While working on either of these might seem like a wise idea, you need to identify just the spot/area that needs to be updated. Where you put the money in is more important than how you do it. Here are a few ways in which you can protect your home from the current market trends. Routine maintenance is the one best way to preserve/protect your home’s value. According to the National Association of Realtors, it would be advisable to set aside at least $500 per month for big repairs. Plumbing, electrical, and roofing problems do put a considerable dent on the home’s overall value. For this reason, you need to keep up with minor fixes to ensure these do not get beyond your control. Simple practices such as cleaning the gutters, weatherproofing, replacing broken shingles and roof tiles, and stopping leakage go a long way in protecting your home’s worth. Good aesthetics play a huge role in almost anything. Loose railings, a dirty siding, broken light fixtures, and even an unkempt exterior only show how fast the property is depreciating. Consider applying a fresh lick of paint after every few months, ensure the garden is in the best condition, fix broken fixtures, and most importantly, keep the entire house clean. Keeping the trees and the lawn in the best shape also shows how caring you are as a homeowner hence protecting the value of your home. Old cabinets, outdated appliances, and countertops in both the kitchen and the bathroom can cause a drop in your home’s value. Replacing any older and inefficient appliances can give your home a value boost. If possible, consider going for energy-efficient appliances for an upgrade. These include dishwashers, refrigerator, light fixtures, and even the heating system. Although you might want to take on a remodeling project for your home, you need to be careful with the areas you choose for an upgrade. This is according to the National Association of Realtors. Vacant homes due to foreclosures can also have a significant impact on the houses within the neighborhood. For this reason, you need to be watchful of empty homes that fall into disrepair with unkempt lawns, dead or encroaching bushes, as well as bushy flower gardens. You can make it your responsibility to pull out weeds in their yards, as well as clean the compounds to preserve the neighborhood’;s appeal. You could also engage neighbors to help keep the neighborhood clean and protected. A real estate consultant can help guide you into boosting your home’s value. The best thing with working with a professional is that they can notice even the smallest problems that if repaired, can give your home a significant boost in the market value of your house. Consider calling a real estate sales agent or even a home inspector for help identifying mechanical and structural problems that could be causing your home to lose value. The inspector should be able to make a list of recommendations on possible repairs that could make a difference in the property’;s worth. A well-maintained house lasts a lot longer and is more valuable than a neglected one. Taking the initiative to ensure everything is in the best condition possible in the house is one way to protect the house’;s value. You won’t need an expert’s eye to see a well-kept house, and one that needs serious work to restore its former glory. That said, it would be advisable to take the necessary measures to ensure the house is in the best condition possible. Some factors can affect the price and value of your home. These include regulation changes, rising interest rates, and economic patterns that affect/influence a buyer’s decision. While you might not have control over such factors, taking care of what you have control of is all that matters. Working with a professional realtor can help protect your home’s value. Donald Trump’s 2020 budget has caused some waves in the Education Department and for students who need to take out or have taken out student loans. Trump’s budget has slashed Education Department funding and made some major changes to government programs aimed at helping students pay down their debt. Specific programs affected are the Public Service Loan Forgiveness and the elimination of subsidized student debt. With more graduates of post-secondary institutions struggling with crippling amounts of student debt than ever before and a record number of student loans going into default, this news will make it even harder for graduates to get out from under their debt. Thankfully, companies like SL Account Management are working hard to help as many people as possible with their current student debt. As a private company that assists students with document preparation and determining if they are eligible for any government debt-assistance or forgiveness programs, the SL team has their work cut out for them. The changes proposed to Trump’s budget will phase out the popular programs for loans that were taken out after July 1 2020. Currently, SL Account Management is striving to help as many people benefit from the programs as possible, while they still can. Trump’s big changes include a 10-percent cut in Education department funding, the elimination of the Public Service Loan Forgiveness program, and the removal of subsidized student debt. Established in 2007, under Bush, the Public Service Loan Forgiveness program forgives loans for government workers and some nonprofit organizations provided they have been making payments for 10 years. The removal of subsidized debt means that the current benefit to borrowers who are in school or facing economic hardship of not having interest accrue on their loans will end. Ultimately, the goal of these changes is that the government will no longer be responsible for backing up federal loans that students are unable to pay back, meaning taxpayers will not feel those effects trickling down. SL Account Management continues to assist students in document preparation and trying to qualify as many people as possible for government debt-relief and assistance programs while they are still in place. SL Account Management provides each and every client with a customized approach to paying down their student debt. They provide a comprehensive one-on-one budgetary consultation to determine how students can pay down their loans while still maintaining a decent standard of living and quality of life. SL Account Management is willing to work harder than ever before to assist people struggling with student debt before Trump’s budgetary changes are rolled out in 2020. Thanks, in part, to the recent downturns in the American economy, post-secondary graduates are carrying more student debt than ever before. Many turned to getting an education in an attempt to secure future employment for themselves, but what they found after graduation was that they were starting out with large amounts of debt. SL Account Management strives to help people get back on the road to financial freedom and will continue to do so for as long as possible. More and more people are turning to car title loans as a way of getting money in a hurry. Although these short-term loans provide a lot of advantages, there are some drawbacks to them, as well. Understanding the benefits and risks associated with these loans can help you decide if they are the best choice for your situation. Speed is one of the primary benefits associated with car title loans. The total processing time for these loans is usually less than a couple of days. The loans are approved quickly since the lender doesn’t have to review a lot of information to make a decision about whether or not to provide you with a loan. In most cases, they just need to look at the value of your car. If you own a vehicle, you can qualify for one of these loans. Unlike other types of loans, you don’t have to worry about passing a credit check. Instead, the lender uses your car as collateral for the loan. This type of loan is known as a secured loan. This is a lot different than unsecured loans where there is no collateral and the lender just has to take you at your word that you will pay it back. By securing the loan with your vehicle, it eliminates a lot of the risk for the lender. That is why the approval process for these loans is a lot easier than other types of loans. If your credit rating isn’t as high as it should be, going with one of these loans could be a good option. Trying to get money from a traditional bank to cover unexpected expenses is practically impossible with bad credit. If you own a vehicle, however, you can qualify for a title loan no matter how low your credit score is. One great thing about these loans is that you don’t have to give up your car. Instead, you can continue driving it. Even though you are required to provide the lender with the title of your vehicle and a set of keys, you don’t have to give them the car itself. That means that you can continue driving to work to earn the money that you need to pay back the loan. Most title loans need to be paid back quickly. Typically, the loan term is less than a month. Although the interest rate starts out low, it usually climbs quickly if you need to add additional time onto the length of your loan. If you borrow a large sum of money, it may be extremely difficult to pay it back quickly enough to avoid additional fees and interest. As a result, you may wind up having to pay back a lot more money than you anticipated. Since title loans are secured loans, there is always a chance that you could wind up losing your car if you don’t pay the loan back. If you stop making your loan payments, the lender can seize your vehicle and sell it to get the money that they are owed. If they aren’t able to get enough money through selling your vehicle, you may still have to pay them extra money. Adding insult to injury, if they sell the car for more than what you owe, they keep the extra money rather than giving it to you. A lot of times, people jump into these loans without really thinking them through since they are so fast and easy compared to other borrowing options. It is important to be aware of the risks involved. You need to understand that there is a real chance of losing your vehicle if you don’t make your payments. Even though there are a lot of risks involved, these loans still are a viable option for borrowers with bad credit. The key is to make sure that you can pay the loan back on time. You should also never borrow more than you can afford. A lot of lenders who deal with car title loans don’t have the best interests of their customers in mind. In fact, this industry is rife with predatory lenders. It is important to understand exactly what you are getting into if you decide to take out one of these loans. A lot of people have wound up losing their cars because they didn’t read the fine print of their loan agreement. Since lenders often make the terms of these loans extremely unfavorable for borrowers, they can be challenging to pay back. With a vehicle title loan, the loan itself is secured by the title of a vehicle that is owned outright. In most cases, these loans need to be paid back in a month or less. If the loan term needs to be extended, the interest rate can quickly skyrocket. In many cases, the loans that are provided are also a lot lower than the total value of the car. A lot of experts frown on car title loans since they are geared toward borrowers with low income levels that make it difficult to meet the terms of the loan. Although some states have enacted legislation against unfair lending practices with these types of loans, changes have not yet happened at a national level. Even if you need cash in a hurry, you should explore all of your other options before opting for a title loan. Some alternatives that you may want to look into include getting an advance from your boss, taking out cash on a credit card, or applying for a personal loan. The good news is that you don’t have to have a ton of money in order to take a vacation. However, that does mean that you have to think very carefully about how you spend each and every dollar if you want to make the most of your time away from home. It’s easy to spend way more than you planned for when you’re on vacation, but it’s equally as easy to save gobs of money. That is, as long as you hop in the car, get on the bus, or board that plane prepared. Here are just a few easy ways you can save big on your next vacation without compromising your experience. Bundling can make things more affordable. It’s why so many travel websites allow you to bundle your plane tickets with rental cars and hotels! However, you can bundle a lot more than your plane tickets if you want to save money. Many popular vacation destinations offer vacation packages of their own that will help you save. For example, vacation packages in Williamsburg, VA can include lodging, tickets to area events, tickets to museums, and more. By purchasing them as a bundle, you can save more money than if you bought each one separately. There are a lot of great things you can do while you’re on vacation. In many cases, trips away from home include concerts, shows, and theme parks. There’s no doubt you’ll have fun if you make these things the focus of your trip, but you’re also likely to spend a lot of money. Instead, make history and education the focus of your trip. Museums are wonderful places to visit when you’re on vacation. You can learn about local history, and they are especially great for children. The best part is, they cost a lot less than other attractions. Some are even free! Don’t think museums have to be stuffy either. Many areas offer tours of historical landmarks, interactive museums, and outdoor walking tours that are affordable and fun. Creating a budget and sticking to it is important when it comes to traveling. One area where people spend more money than they would like is food. Packing light can be a lot more convenient, but it turns out it can save you a lot of money too. For example, if you’re traveling by plane, most seats allow you to bring one bag on board for free. Checked bags cost extra. By getting everything in your carry-on, you can avoid that baggage fee. Knowing what to pack is just as important as packing light. For example, don’t say you’ll get your toiletries when you arrive. You’ll end up spending precious time shopping for deodorant instead of enjoying your vacation. Not to mention, they are likely to be more expensive at your destination. Pack these items instead. There are a lot of US cities that are great for travelers without cars, and there are even more places in Europe where a car isn’t necessary. However, there are plenty of places where a car does seem necessary, and your own vehicle is always convenient. You can save a lot of money by choosing how you get around at your destination carefully. A car may be convenient, but that doesn’t mean you need to rent one. It doesn’t mean you have to pay a lot to hail a cab or get an Uber either! Most cities have some form of affordable public transportation, while others are pedestrian-friendly. You can also consider renting a bicycle! Going on vacation shouldn’t mean you have to drain your bank account to have a lot of fun. 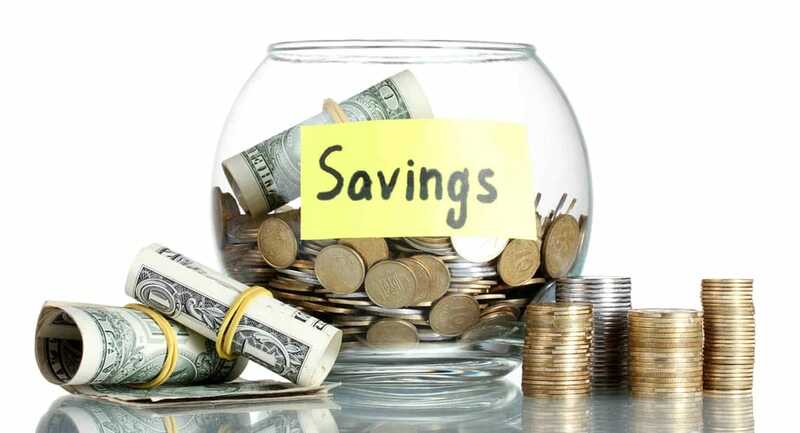 There are plenty of ways to save, and all that money can really add up. With these tips, you’ll save as much as possible so you can start planning your next vacation sooner rather than later! When you run a small business, deciding which merchant services you want to use can take considerable time and effort. It might not always be clear which options would be best, and the type of services you use can have a direct effect on whether your payment methods are successful or not. By determining which traits you want your merchant service provider to have, you can make a choice that affects client relationships positively. Here are some methods for choosing the best merchant services options for your business. Do they offer real-time reporting? Technology has made it easier than ever to keep track of which payments were made when. Real-time reporting allows you to access all the information related to your clients and payment data, so you can keep track of incoming and outgoing transactions. You can also narrow down results by time frame, which can make it much simpler to put together invoices and to see if sales have increased for your product or service. If you are collecting customer data, it can be helpful to have it all in one web-based system so you can spend less time on accounting and more time reaching clients. Nothing is more frustrating than dealing with a phone tree rather than a real person when you have billing questions, and your merchant services should be able to provide your customers with actionable information. This might mean that they include one-on-one training or a stocked resource center that can allow a customer to ask questions about your payment system. It can be important to have a full understanding of how payments are made, and your merchant services provider should give you the tools to complete transactions successfully. Do they provide next-day funding? As more companies are using payment methods such as PayPal or Venmo, customers now expect their money to go to their bank accounts as quickly as possible. The merchant service you choose to use should also offer this as an option so you can remain competitive with other companies. It is possible that some merchant services charge a fee for next-day deposits, but it is also possible that your business can avoid these, as well. This feature can help to strengthen your relationships with clients and also make it simpler for you to keep track of payments. 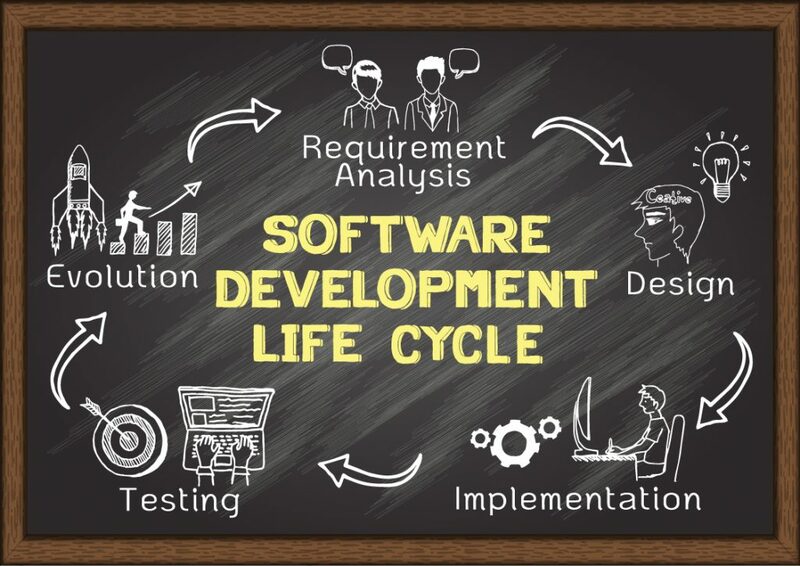 If you are going for simplicity for your business’s processes, then it can be important for you to consider what integration programs you might want to use. The right merchant services provider should be able to streamline your entire sales process from beginning to end, while also allowing you to see which areas need improvement. 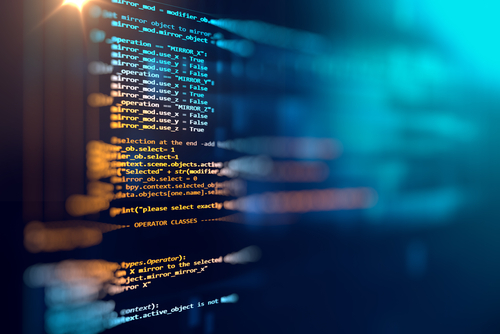 If you find that your system is riddled with duplicate data entry or manual errors, then it can be all the more crucial to think about implementing automation. Merchant services can help you to create an easier, more direct way to engage with customers. Choosing the right ones can also allow you to develop better results with additional support, next-day funding, and integration. An unsecured loan is a loan that is approved without any collateral attached. The lender takes on a lot more risk with this type of loan and because of that, there are certain terms you might have to agree too before the cash is paid out to you. One of the biggest pitfalls of unsecured personal loans is that they often come with a high interest rate attached. When you are in dire straits or faced with unaffordable or unexpected expenses, a personal loan might be the only option for you. Before a bank or lending institution can approve an unsecured loan, they need some sort of reassurance that you can pay it back. To determine this, several factors are taken into consideration including (but not limited to), your credit score and the outcome of your affordability assessment (your debt-to-income ratio). You know that a personal unsecured loan is the best option for you, but how do you ensure that your application is approved, especially if you have no collateral to offer? That’s the tricky part and we have 5 tips to share with you, to improve your chances of getting the cash loan you need. This might not seem like an immediate fix, and it’s not. By paying your bills on time, you will develop a good credit record and this is something that banks and lenders look at. If you show that you can be responsible and pay your accounts on time, every month, your application will be viewed more favourably. Having a good credit score also often means you will be offered a lower interest rate. 2. Show you have a stable income. Lenders want to know that you are earning enough to pay the installment each month. For this reason, you should include as much detail regarding your income as possible. Don’t just provide your payslip as proof. If you earn any extra money with a part time job or through a side hustle, make sure that you provide those details too. 3. Share the load with a creditworthy friend. If you have a creditworthy partner, friend, or family member who is willing to co-sign on a personal loan with you, your application will be viewed more favourably. The co-signatory will be confirming that they will pay back the loan amount if you are unable to come up with the payments. 4. Apply with the right lenders. Not all lenders are the same. Some might turn down your application, while others will give your application and financial status a broader overview. Research which lenders are the most sympathetic while still operating in strict accordance to laws and regulations in the industry. It’s strongly recommended that you first apply for instant cash loans with Multimonthloans.co.uk, if you want the best possible deal and a quick turnaround time on your application. During an affordability assessment you will be asked to make a note of all of your expenses and income. If you fib on this assessment, you could be caught out quite easily when the loan company checks your bank statements or other supporting documentation. Be as honest as possible and don’t expect to loan more than you can realistically afford to repay. Follow these 5 simple tips to improve your chances of getting an unsecured cash loan as quickly as possible. Commercial Business Loans: Are They the Best Option for You? A commercial business loan is completely different from a personal loan. For one thing, there are many more options for how to get funding, which is good news for business owners. Loans of different types all reflect various versions of a business loan. Some might be unsecured whereas others use unpaid recent invoices as a form of collateral to ease cash flow constraints. Let’s now run through a few of the types of commercial business loans to see which one is the best option for your business. A startup loan is intended only for startups that are limited on funds and looking for a lender to provide some initial capital. It only applies usually to new startups rather than ones that have been around several years, so only a small percentage of businesses qualify. 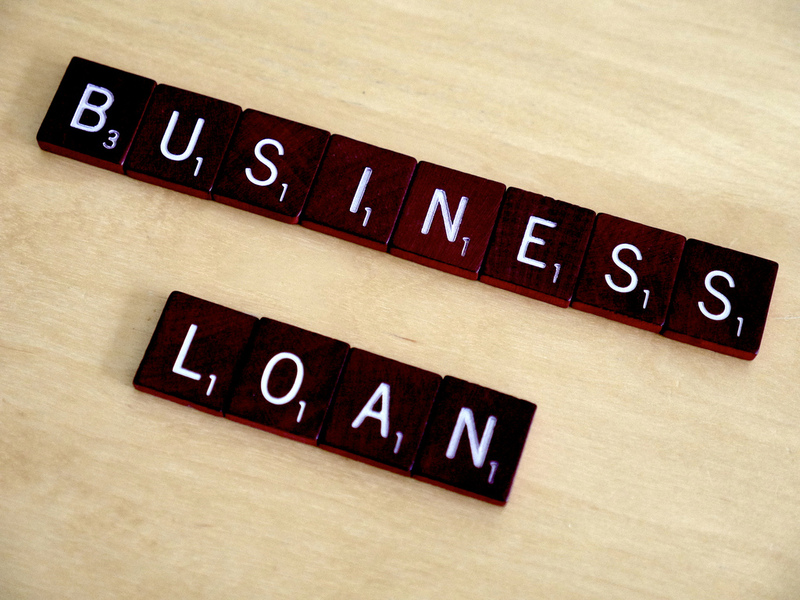 A commercial business loan is another way to fund the next phase in a business’s development. This type of loan is only available to certain types of businesses that qualify for them. The main advantage of this type of more traditional commercial lending is that it tends to be more affordable than other options. The repayment terms are quite specific though. An asset-based loan uses the value of qualifying unpaid invoices as a value determinant. The lender offers a line of credit based on the value of invoices that meet their criteria. The line of credit then facilitates faster cash flow for your company than waiting 30-60 days to get paid for outstanding invoices. This type of business loan is useful when growing quickly. When this happens, costs grow rapidly with a larger premise, new staff, and equipment while larger invoices don’t get paid any faster! This quickly creates a cash crunch where a company grows faster than it can manage. An asset-based loan, therefore, eases the cash flow problem, so your company can continue expanding. It’s possible to apply for business loans from Lending Express with an asset-based loan as one option. As a broker, they can find lenders that support companies with valuable invoices. A merchant cash advance works in a different way to an asset-based loan. Instead of using invoices, here credit card billables can add up to a sizable sum and these can be used for the purposes of a cash advance. A cash advance relating to credit card billables is then repaid once the credit card payments are received from your customers. This works well for a company that is dealing more often with credit cards vs mailing out a paper invoice to large businesses. Sometimes your business needs to purchase important vehicles or specialized equipment that they require to operate. When funds aren’t available for them, this creates a major obstacle. Some lenders offer financing for companies to go ahead and purchase the equipment or vehicles they require. These types of loans are usually secured against the new assets. The right type of commercial business loan depends on a) what your company qualifies for, and b) how much money is required. By determining these two facets, it helps narrow down the options for business funding to a few choices to pick between each with their own pros and cons. Probably, there is much that you don’t know about insurance premiums. If you step out to go shopping for a favourable insurance premium, it’s essential that you learn everything an insurance premium entails. There are two factors that affect the cost of your premium. They include raising your deductibles or lowering the amounts of coverage. It’s challenging to realize that even the overall rate of your car insurance premium is somehow affected by other different factors. However, some of these factors can be controlled while others can’t. Getting to know what affects your rate can assist you to make a steady decision when you plan to acquire an insurance premium. Additionally, you will be aware of exactly what step to take to cut the cost of all the expenses. Such factors include your age, gender, marital status, credit score and your geographical location. All these factors affect your insurance premium in different ways. Let’s take a look at some of these factors in a summary. Couples are said to be involved in fewer accidents compared to single people. This means that getting married especially for men can lower the insurance premium rates. The rate at which your premium will decrease will also depend on your previous driving history. If it was pathetic, definitely you will have to dig deep. If you are a man whose driving record is clean and has never been involved in an accident, then your premium rates can be cut by half. Most insurance companies consider your credit score and give it a thought before they finally determine your rate. If you are wondering, there is no specific point where your credit score will start to affect your rate. However, lower scores will translate to higher insurance premiums. Statistically, younger men incur higher rates compared to young women. There is an increase in the number of teenage men that get involved in accidents compared to young girls. Generally, older men have a better reputation for careful driving compared to older women. However, some evidence compiled suggests that older women are involved in less minor accidents compared to older men. Despite the statistic, the difference in premium is not that drastic. The place you live in. Many traffic accidents transpire close to people’s homes. Therefore, the area of your residence will significantly affect your insurance premium. An area that is dense with cars and the population is massive translates to a higher risk of accidents, injuries, theft and collisions. In some areas, repairing your vehicle is costly compared to other areas. Additionally, some areas are faced with high rates of theft and burglary. Also, in most urban cities, there is an increased number of unemployed persons. This means that there is a high number of uninsured drivers. Most of these drivers can’t afford to ensure their vehicles. Auto insurance organizations may make correlations between a person’s profession and the risk of an accident. This way they will adjust your premium consequently if they see there are chances of you getting involved in an accident. A good example is delivery drivers and journalists. These professionals are always on the road travelling to different places. This means that their risk of getting involved in an accident is high. Compared to pilots who only drive between the airport and their home, so they don’t spend much time on the road. Paramedics, police officers and nuns are always given thumbs up as they are considered responsible and more careful while on the road. Insurance companies view them to be more cautious compared to average drivers. Factors that are car –related. The car model that you drive affects your premium rates. Some cars are likely to be stolen. They are costly to repair and even lack safety features that work to prevent the occupant from accidents. A vehicle that possesses a high degree of safety features means that there are reduced reasons for having to pay for a passenger’s medical bills. Owning such a vehicle will cost you less when it comes to insurance rates. Possessing a car with less safety rating will mean that you will have to pay more for your insurance. The size of the vehicle. Large vehicles are assumed to be safer compared to smaller vehicles. Large vehicles rarely get involved in accidents. This means that larger vehicles with adorable safety ratings are required to pay less when it comes to insurance premiums. On the other hand, smaller cars, i.e. sports cars are required to pay extra costs compared to larger vehicles. Such car owners are involved in high speeds which mostly result in fatal accidents. It’s for this reason that most insurance companies take caution. The age of the car. Car repairs are similar. The cost of repairing an old car is almost the same as that of a new one. 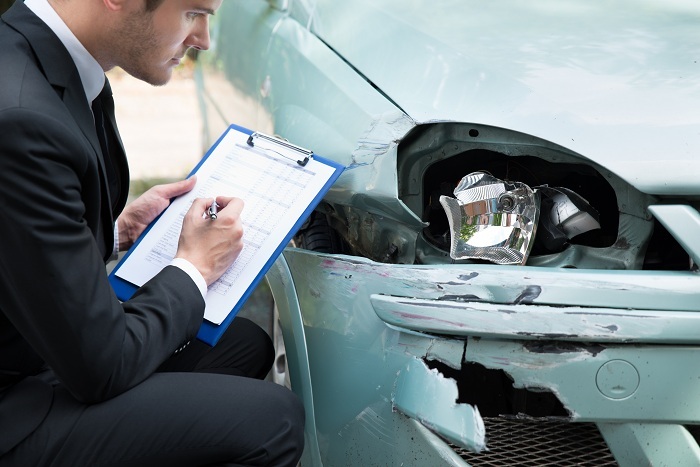 However, in the event that an older car is involved in an accident, the expense of carrying out the repairs might be higher than the vehicles worth. In such an event, the owner will likely discard the vehicle and request to be compensated with a new one instead of repairing. The cost of replacing a new car is elevated. It’s more costly compared to replacing an old car. A newer car has a higher coverage premium. What you should know is that paying an insurance premium is a burden that you have to bear for owning a car. Therefore, it’s up to you to do all it takes to have a lower rate that will be beneficial to you. Filing for bankruptcy is a major decision. It damages your credit and seriously impedes your chances of getting a loan. Yet, it might be your best option. If you’ve gone through all of your debt-relief options and still feel as though you’re buried, there’s not much that you can do. Ultimately, bankruptcy is your chance to start over. It’s your second chance. The path won’t be easy but if you’re smart you can create a strong financial future for yourself. It might be easier to keep your head in the sand, but it’d healthier to face your problems. One of the most common reasons to file for bankruptcy is medical debt. When it comes to your health, you can’t pull punches. It doesn’t matter if you have great insurance or if you’re uninsured, you have to get medical treatment. Unfortunately, health problems can interfere with your ability to work. This makes it even harder to keep up with your bills. If you’re lucky, your boss will be understanding and you’ll be able to hold on to your position. If you’re not, you’ll lose your job. There are other reasons why you might not be able to repay your debts. These include your home is being foreclosed, you’re living entirely on credit, and you’re being sued by your creditors. You should carefully review your situation before you decide to file bankruptcy, even if you’re sure it’s what you want to do. You want to make sure that all other options are exhausted before you commit to this step. Okay. You’re in a rough financial position. 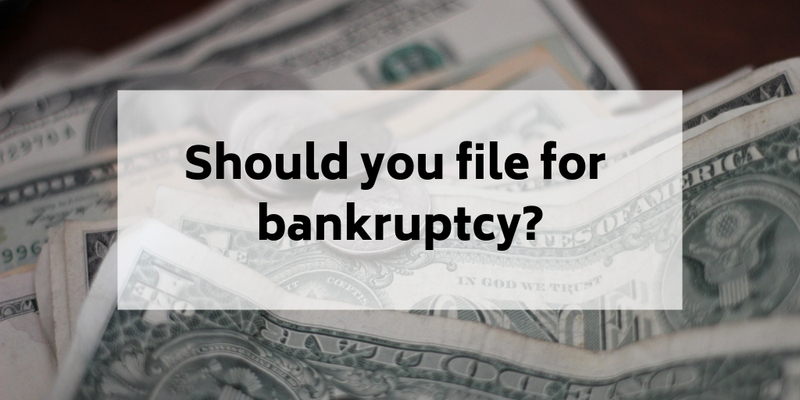 Do you have any options besides bankruptcy? It depends on the state of your case and how dire things have truly become. However, it’s worth it to at least consider if there’s something else you can do. You can try tightening your budget. No more trips to the movie theater, no more coffee during your morning commute. Cut your spending to the absolute minimum. You might have to make more serious financial adjustments as well, like downsizing your home and selling your car. If slashing your budget isn’t enough to do the trick, you can try picking up extra work. Getting a second or third job isn’t fun but it could get you out of your difficulties. A solution is to become a rideshare driver. Then you don’t have to worry about scheduling conflicts. A strategy that could work for you is to negotiate with your creditors. They’ll often accept a payment plan. Just make sure that you don’t agree to something you can’t stick to. Otherwise, you’ll end up in the exact same spot. Be wary of credit counselors that promise amazing things. A good one acts as an advocate on your behalf in dealings with your creditors. A bad one charges you a lot of money and doesn’t do anything at all. Everyone can’t file bankruptcy. You have to meet certain standards. There are two types of bankruptcy, Chapter 7 and Chapter 13. They each have their own specific rules. You can file for Chapter 7 bankruptcy if you can’t afford to pay your bills. You’re completely swamped by your living expenses and have no way to repay your debts. You also have to earn less than a set amount. The court will determine if your position is as dire as you claim. Chapter 13 bankruptcy is for people who have a job and are earning income. They must have less than $394,725 of unsecured debts and less than $1,184,200 of secured debt. If you seriously think that bankruptcy is your best option, it’s a good idea to contact an attorney. He or she can explain your options and help you achieve your goal. An attorney might be able to help you discharge your debt as well. Going through a financial upheaval is incredibly difficult. It can mess with your stress level as you’re eaten up with worries about money. However, bankruptcy isn’t the end of the world. You can completely recover. In order for that to happen, you need to be smart with your finances. You’ll have to submit to a strict financial plan. It won’t be a lot of fun but it will slowly improve your credit. You can speak with a professional to determine if filing for bankruptcy is the right choice for you. If it is, it’s better to get started as soon as possible. According to the Trade Unions Congress (TUC), UK homes now owe an average of £15,385 to places such as banks, credit card companies and other lenders. They have also said that debts for households in the UK have reached an all-time high. Furthermore, the TUC have stated that due to years of wage stagnation and austerity measures in place, household debt has increased rapidly as a result of households being forced into raising the amount that they borrow. According to the TUC, in the 3rd quarter of the past year, the amount of money that was owed by households in Britain had risen by £428 billion. It was stated that roughly each household owed around £886 pounds than they did in the previous 12 months. The statistics released by the TUC include student loans but not outstanding mortgage debts. It was also recorded that levels of unsecured debt as a share of incomes of households is at the highest level that it has ever been at, around 30.4% including short term loans, personal loans and credit cards. The TUC have also stated that the amounts owed by debtors is significantly higher than the £286 billion peak in 2008 before the effects of the financial crisis came into play. This highlights the role of using lower cost alternatives such as borrowing from family and friends, credit unions or where possible, using payday loans comparison websites which have helped customers save on average £120 per loan. Frances O’Grady, the general secretary of the TUC, has warned that household debt is at “levels of crisis.” She believes that the many years of wage stagnation and austerity measures have left many families in vulnerable situations. O’Grady also said that she thinks the government is “skating on thin ice” by relying on debts accumulated by households to stimulate economic growth and she stated that a strong economy needs people to be spending their wages rather than credit cards and loans. It is expected that today graduates who leave University, are not only leaving with a degree but also 50,000 pounds in debt. Although, the students are not subject to making repayments on their loans until they earn over £25,000 pounds. This has been recently changed from £21,000.